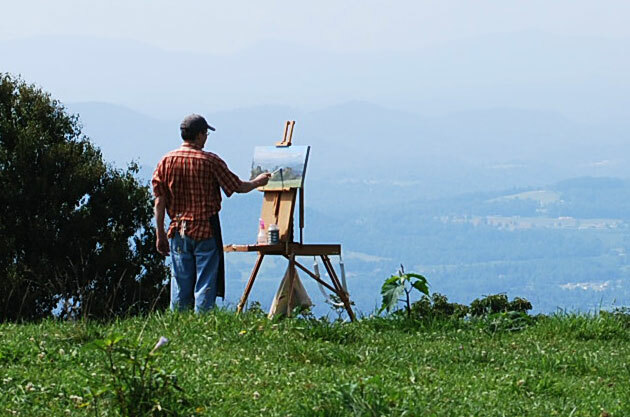 Bearwallow Mountain is situated on the Eastern Continental Divide with commanding views in every direction. 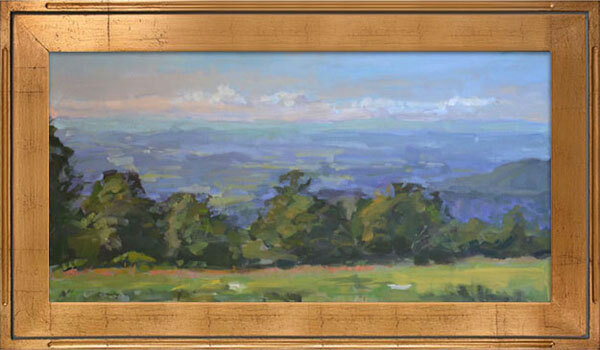 The vista I chose to paint overlooks Henderson County’s apple country, Fruitland, Edneyville, and Hendersonville. 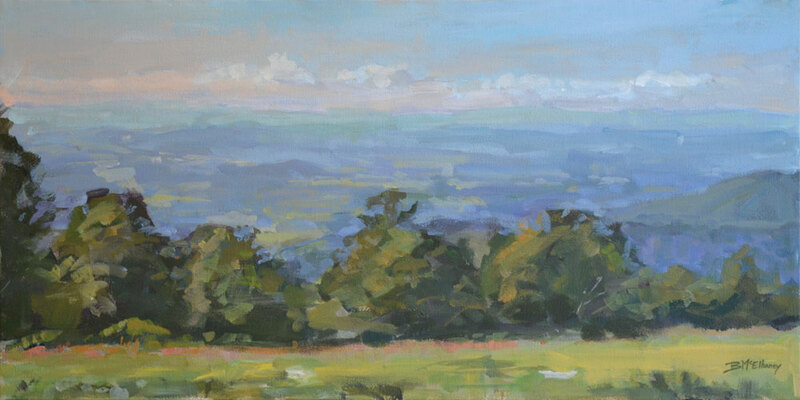 Painted on location WNC Plein Air Painters. Craftsman style flat-panel plein air molding with decorative channel. Antique gold distress finish with black undertones.